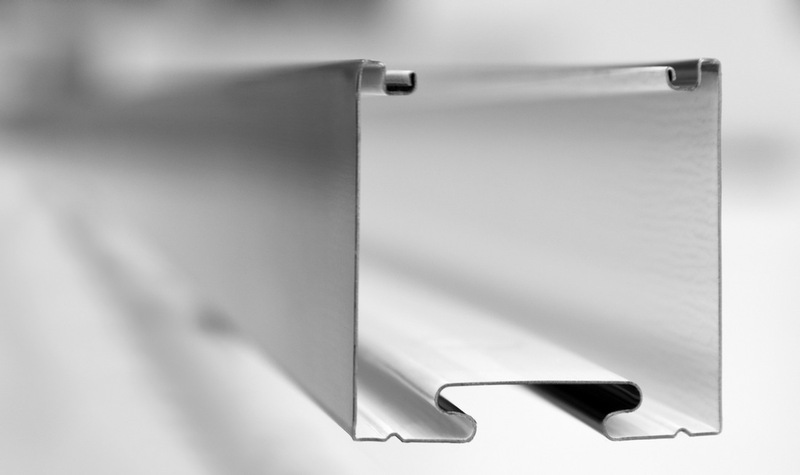 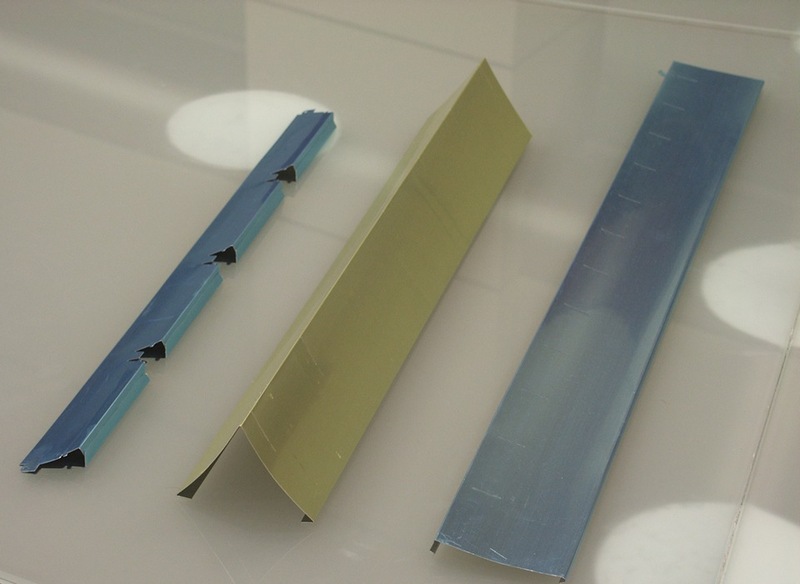 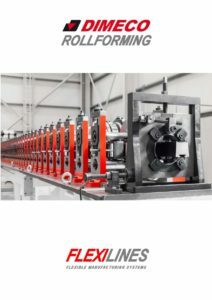 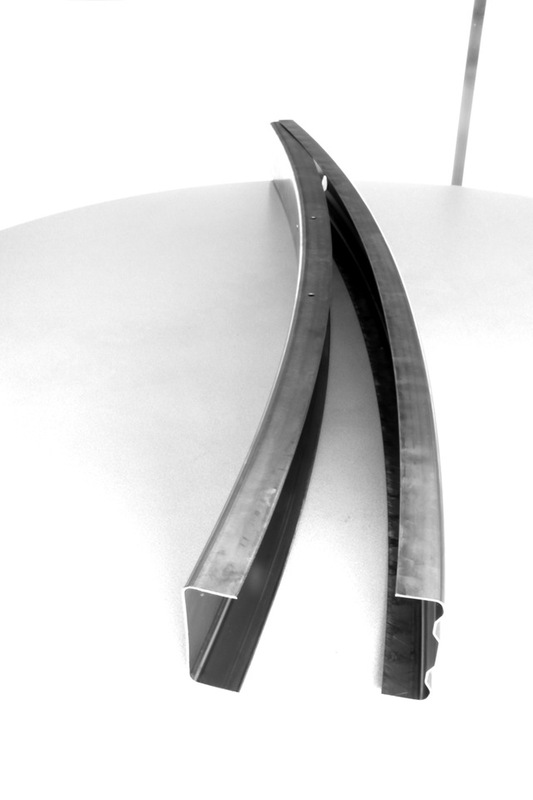 Rollforming is the technical key when achieving our Flexilines. 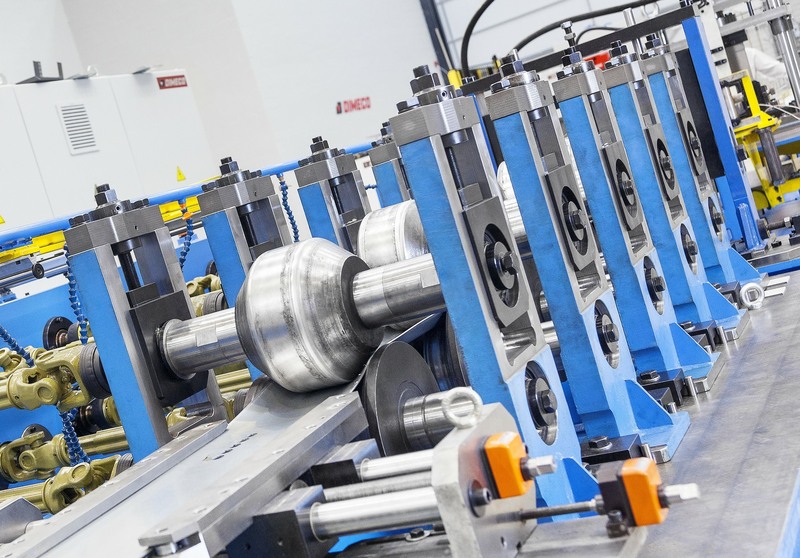 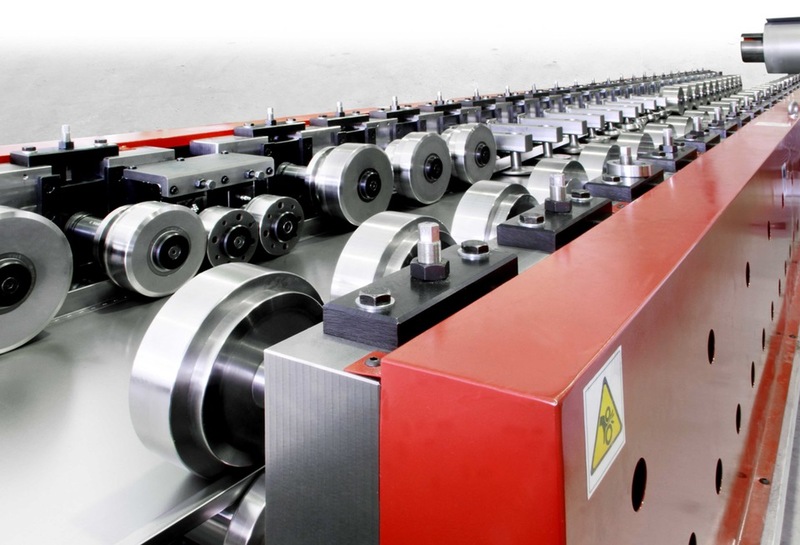 At DIMECO, we design, assemble and supply the rollforming machines to be integrated in our own Flexilines or in other existing lines. 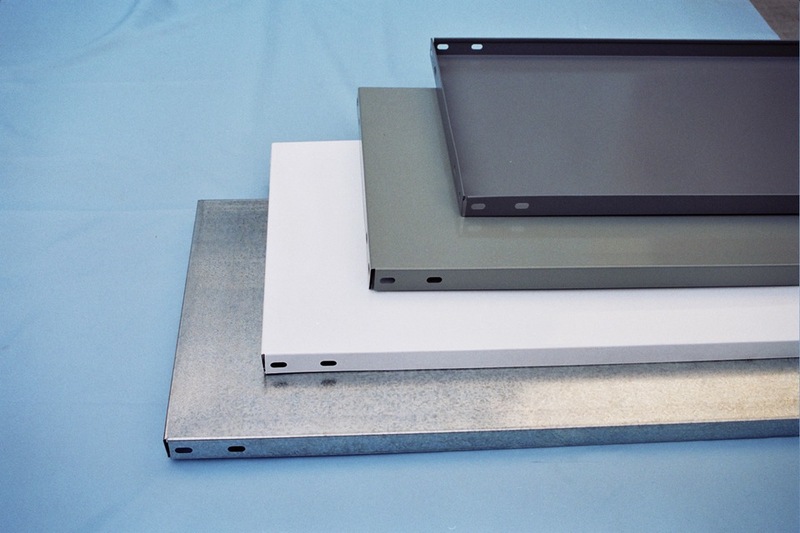 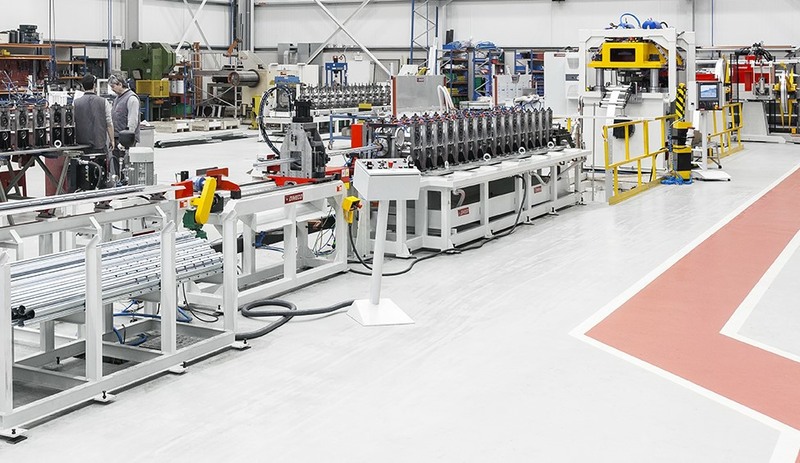 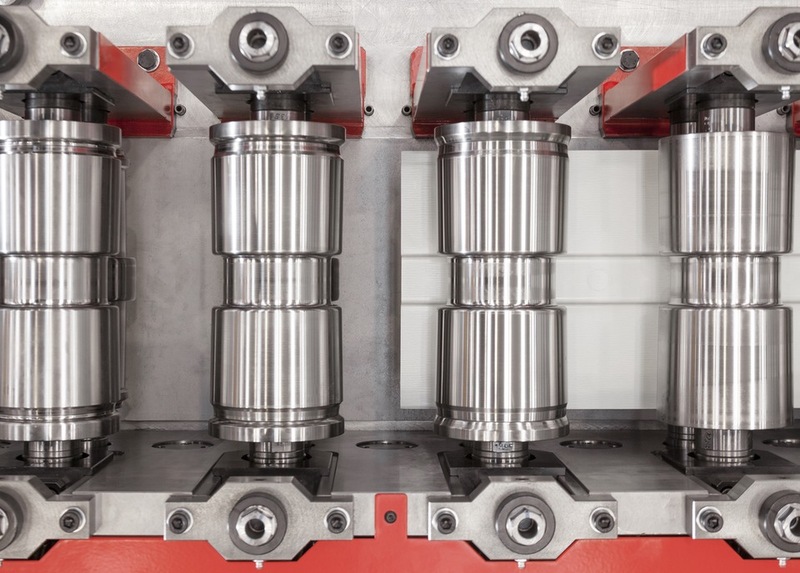 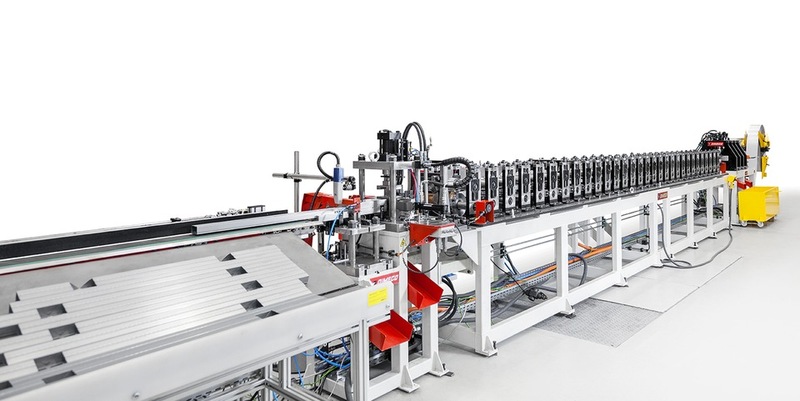 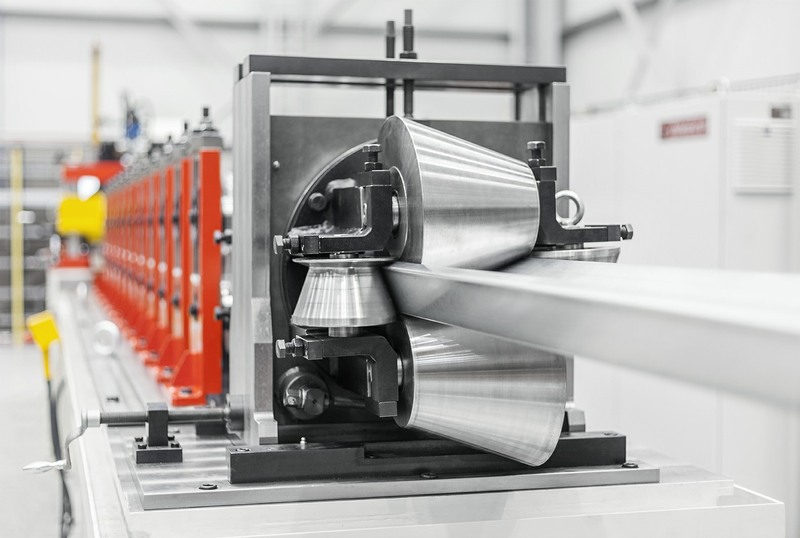 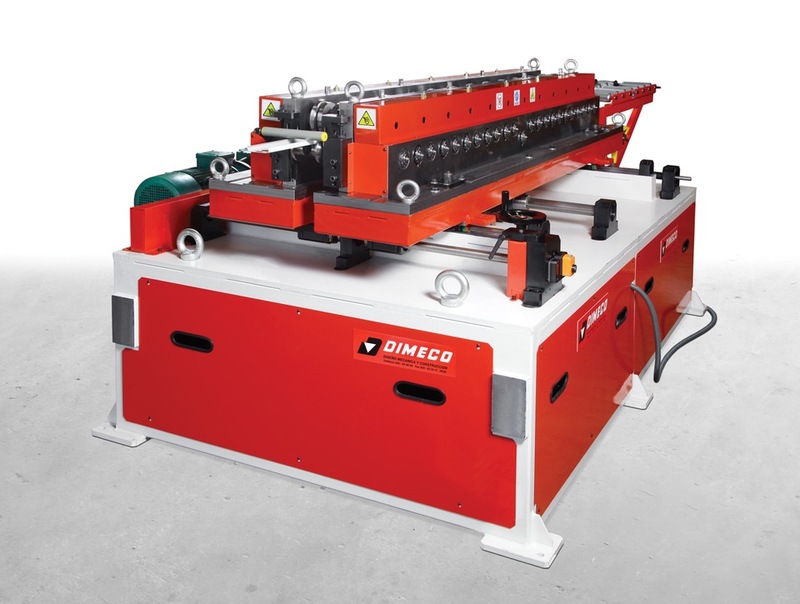 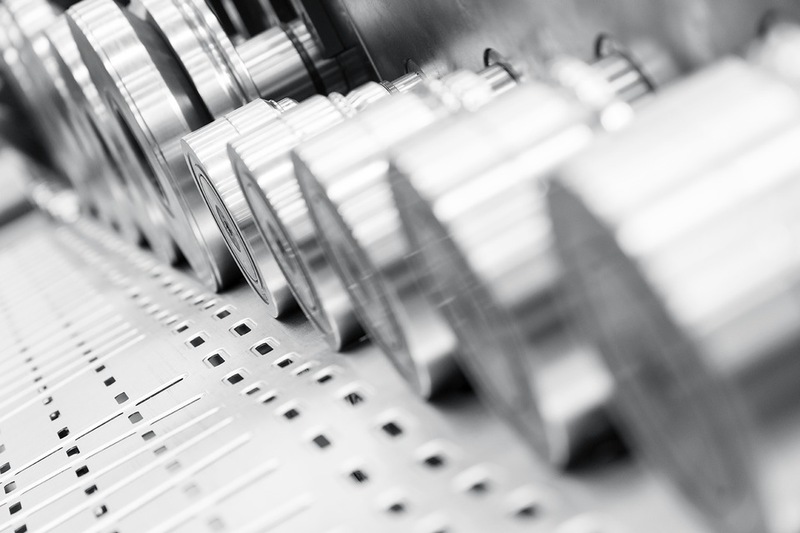 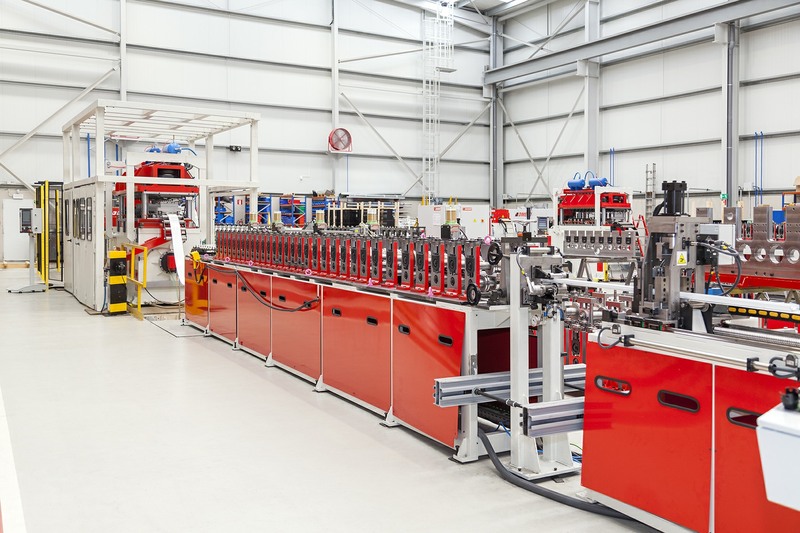 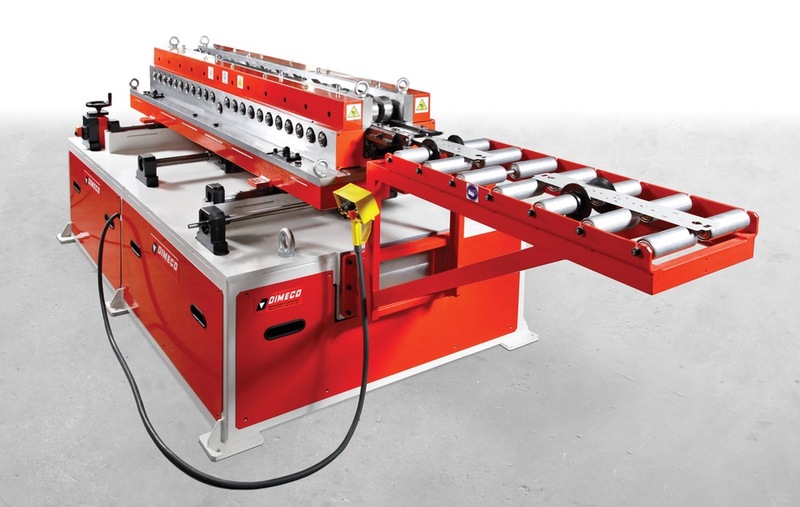 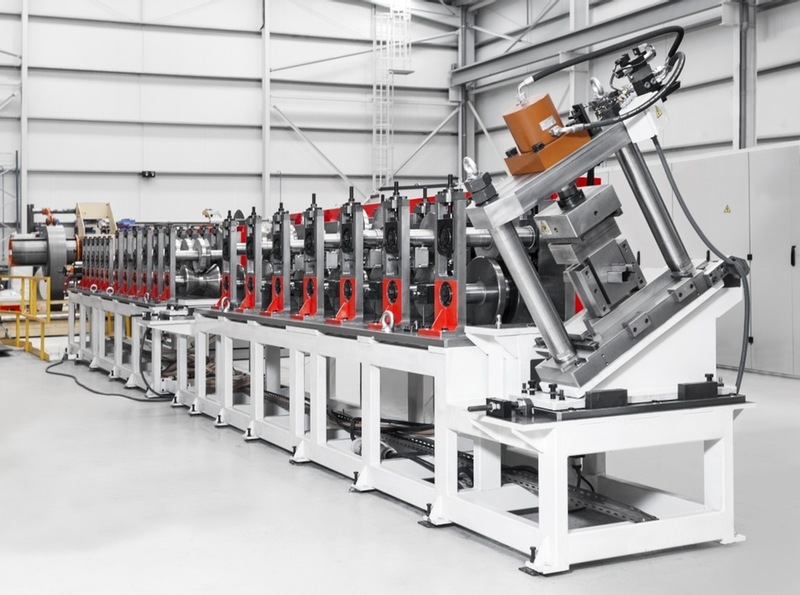 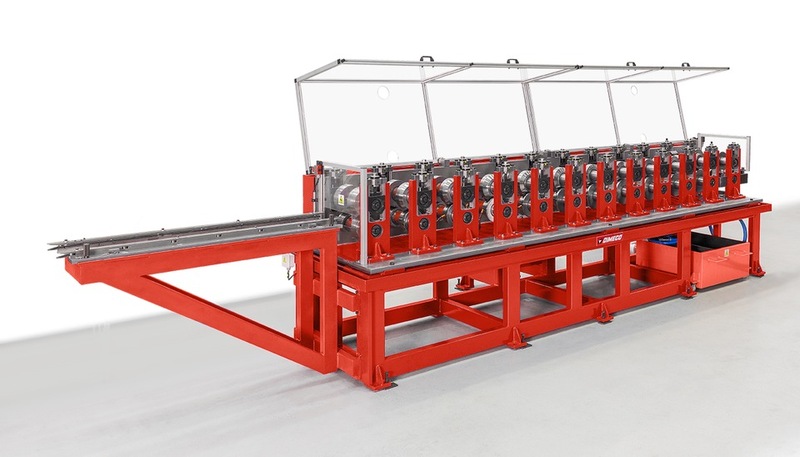 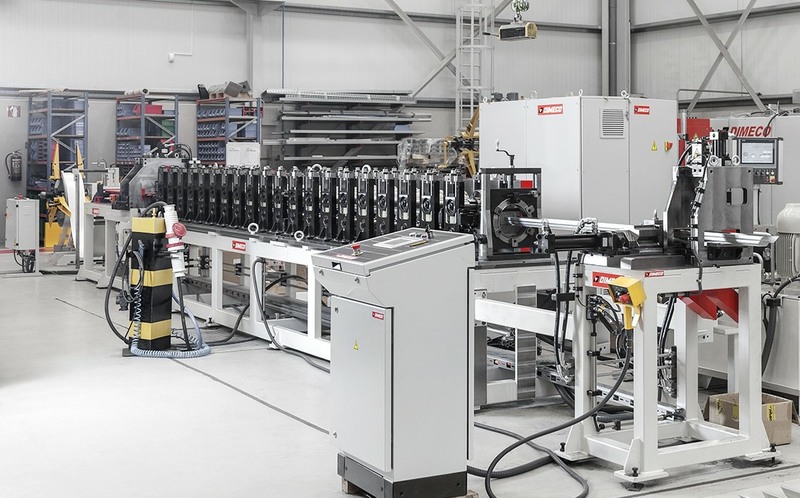 Starting from coils or from blanks, in steel, aluminum, stainless steel or pre-lacquered, in continuous work or stop&go, lubricated or not, the DIMECO rollforming machines are always made with easily interchangeable cassettes in order to manufacture different profiles on the same motorized bench. 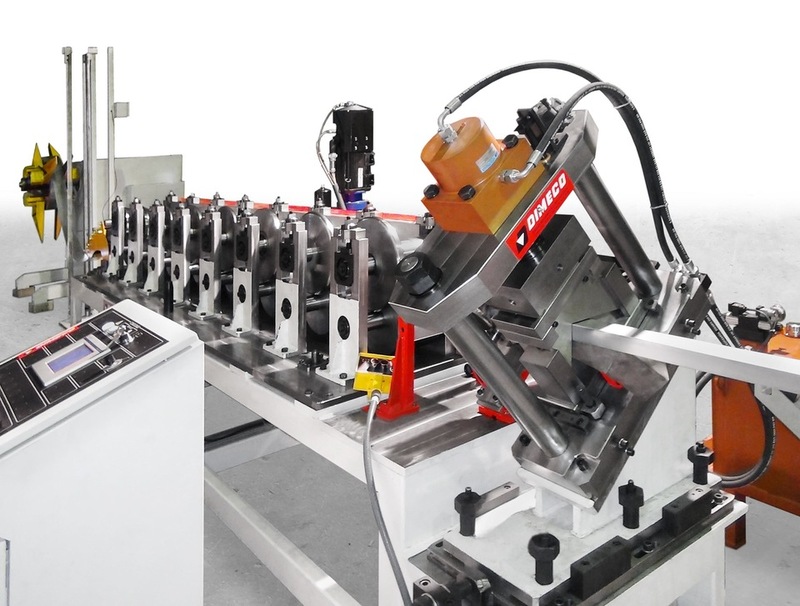 When the width of the parts belonging to the same family varies, keeping the same profile at the sides, we use double body rollforming machines (Duplex), which rollforming width can be manually or automatically regulated. 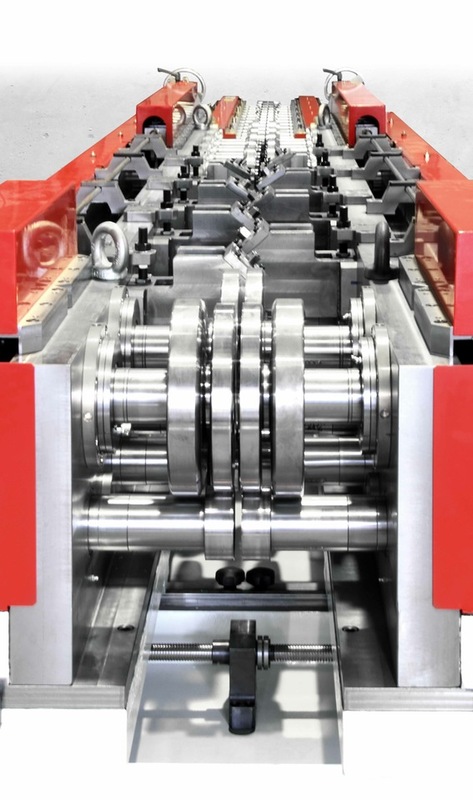 A set of gears is responsible for the transmission between each rollforming station assuring a right, sustaining and lasting functioning. 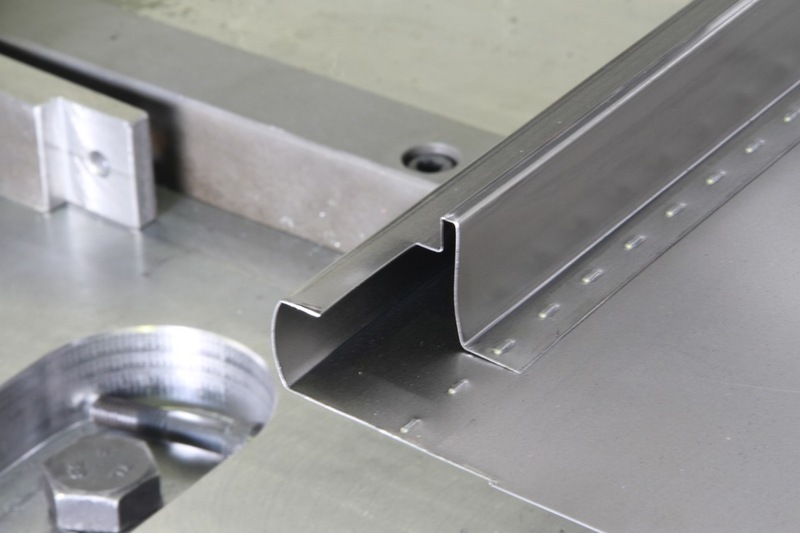 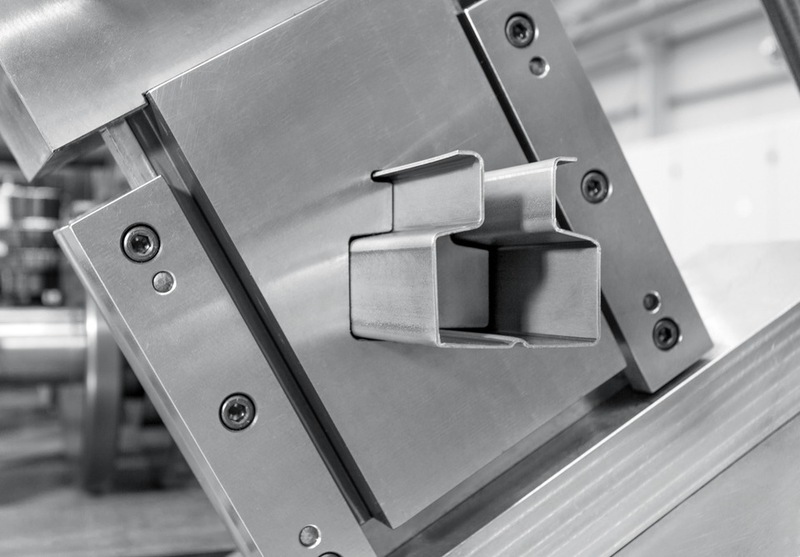 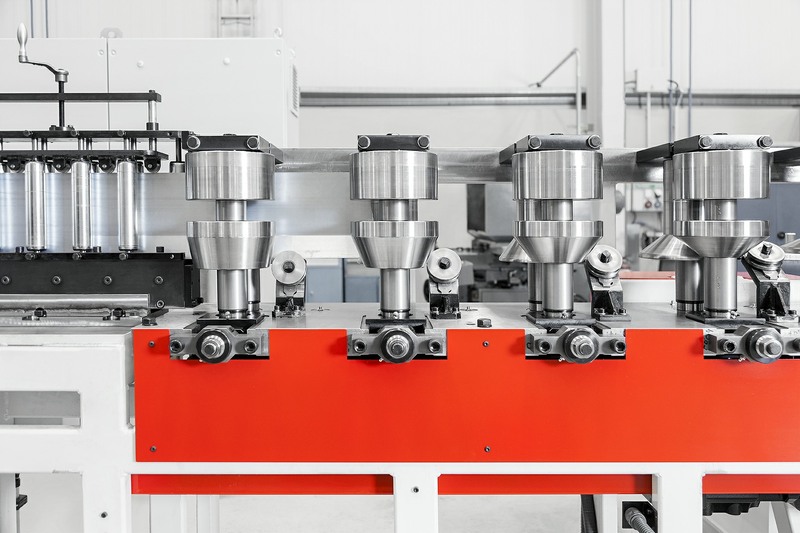 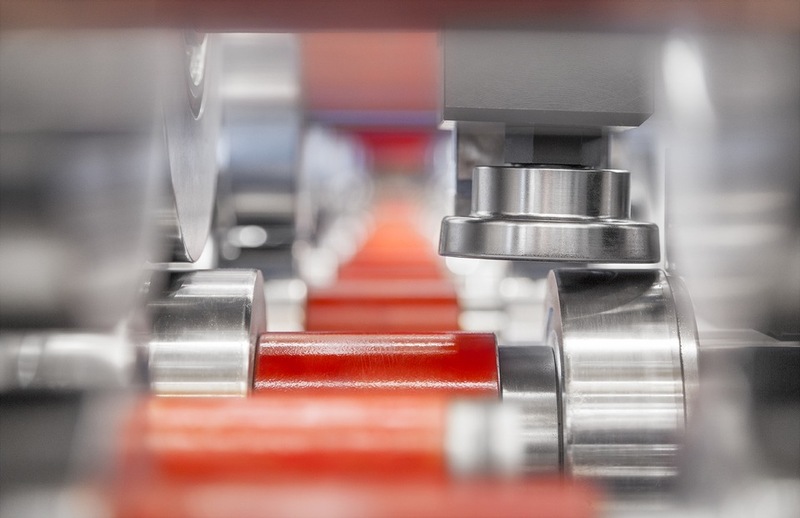 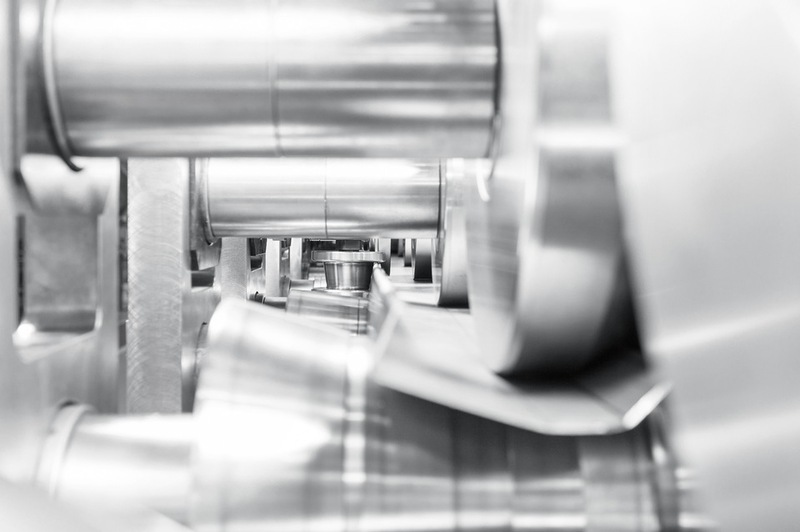 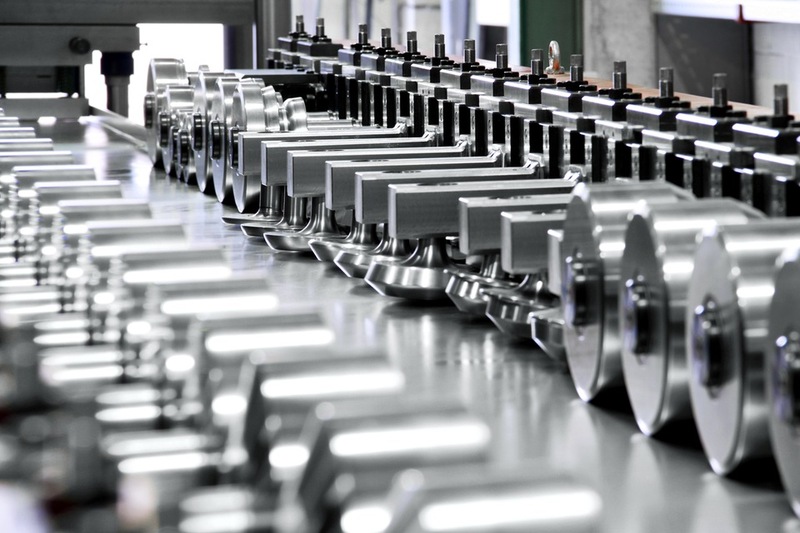 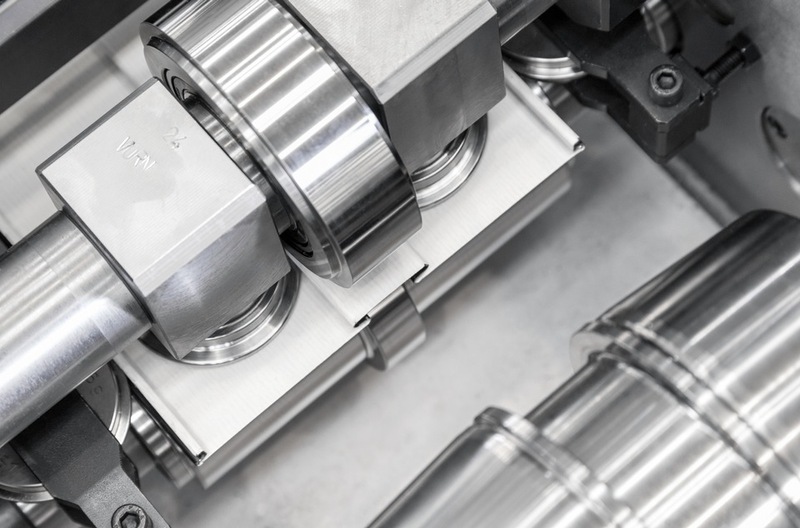 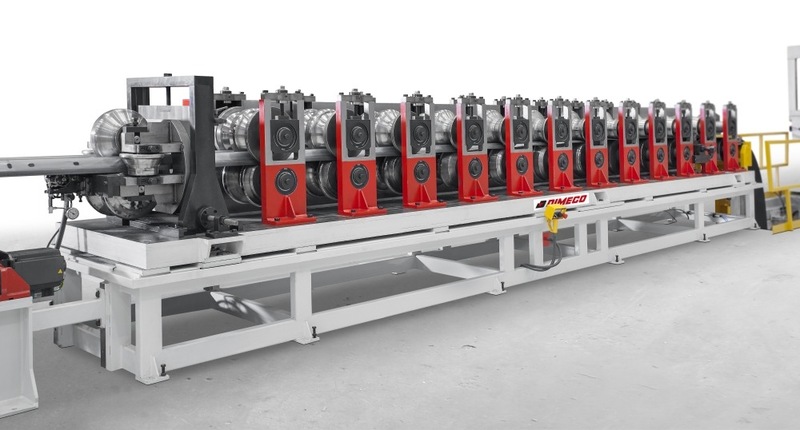 Answering our customers’ needs, DIMECO offers the possibility of supplying the necessary set of rolls, in order to obtain different profiles in the existing rollforming machines. 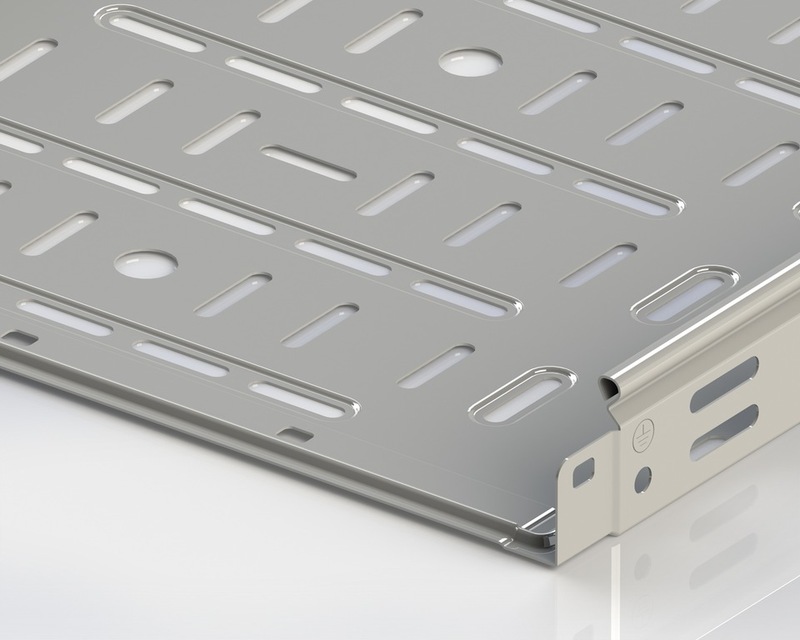 For each case, some data need to be considered, as: – quantity of stations. 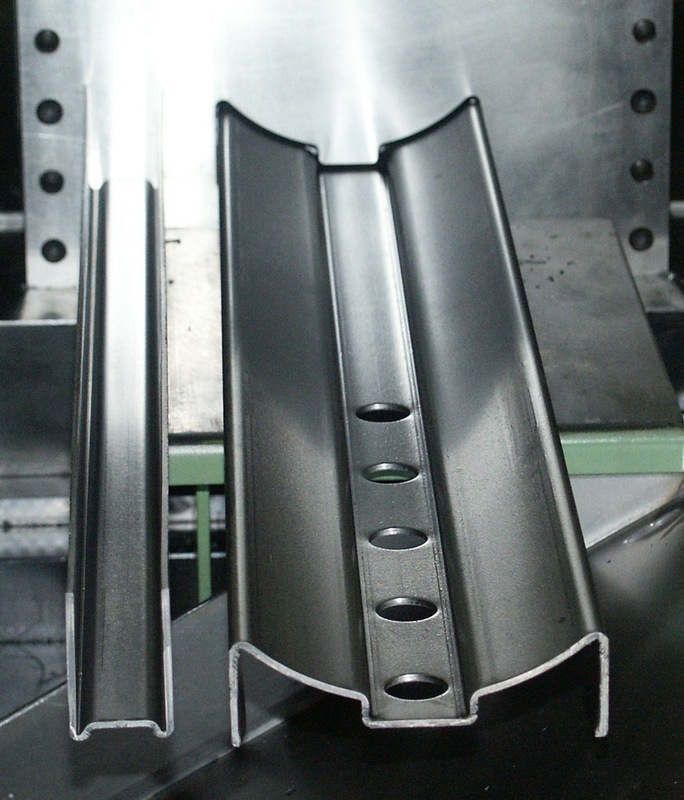 After our technicians carefully study the project, we assure the feasibility of the required parts with the new set of rolls on the rollforming machine.